The Sustainability Exchange is a key resource for those working on sustainability in Ireland, whether it is in higher or further education. 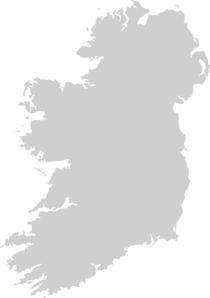 Although it was originally funded by the Higher Education Funding Council for England (HEFCE), there is a wealth of information available on this portal in relation to Ireland. It is a place for colleagues in different institutions and organisations to share their sustainability experiences via an active news feed, events diary, best practice guides, tool kits, reports, research, webinars and videos. The EAUC is committed to driving this innovative information portal forward - making it relevant to the specific challenges faced by staff at institutions wherever they are in the country. These relationships are designed to put sustainability at the forefront of tertiary education in Ireland, and to provide institutions and their staff with the tools they need to achieve it. Although there are Irish specific resources available on the Sustainability Exchange, we want there to be many more. This is why we will continue to work hard to promote sustainability in tertiary education throughout Ireland and why we are increasing our Irish Partners and resources all the time. An independent evaluation of the PRI's achievements and challenges at 10 years - April 2016 Download the full report.